Getting started with Keto can be tough. While there is a lot of information available on the internet, it is sometimes hard to figure out what is what. And when you don’t have someone to guide you along the way, it can be hard to figure out where to start. Therefore, we’re providing this info to help you to successfully get started and achieve success. The first step to success on the Keto program begins with commitment. You must commit to yourself. This will come from understanding why you want to try to program. Is it to lose weight? Is it to improve blood sugar levels? Or is it for some other health reason. Maybe it’s because you just want to be healthier and live longer for your children or family? Whatever the reason may be, the key to success on the program is having the right mindset. Don’t start the program thinking that you will eat the Keto way for a short period of time. Commit to eating the Keto way for life. Once you’ve gotten clear that you’re on a journey for life, then it will be easier for you to stick to the plan and not backslide. The second key to success on the program is knowing what to eat. 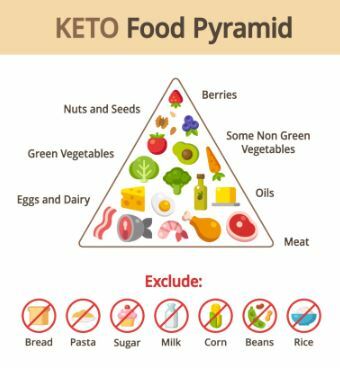 The Keto Food Pyramid show above is a simple, yet thorough assessment of what types of foods you can eat on the program. The primary goal of Keto is to burn fat for fuel. When eating a diet that is high in carbohydrates the body will tend to want to use the carbs for fuel, but we want the body to furn fat for fuel. Therefore, in order for the body to get into ketosis, you will have to restrict your carbs. 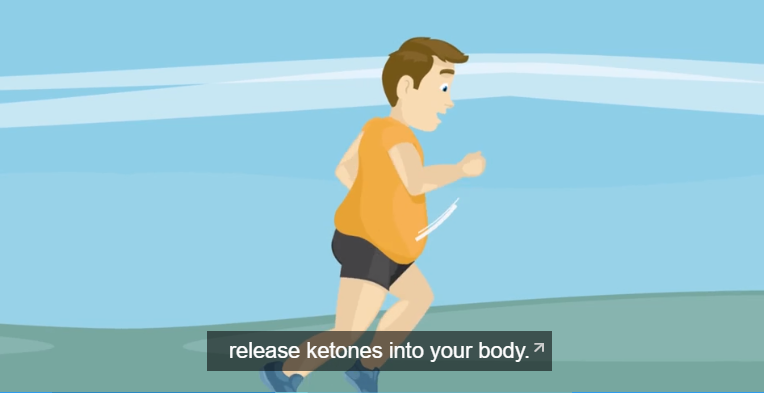 Once your body gets into ketosis, you will become a fat burning machine. Nevertheless, some of this might be overwhelming. And if you’re like most people you just want to get started and you want to do Keto the right way. If this is you, then you may want to try the 7 Day Keto Challenge. It was developed for people like you looking to make a change. Folks who are ready to lose weight but don’t want to starve and would like to join a program that is convenient and easy to follow. Click the link below to take the challenge and get started with Keto right away.